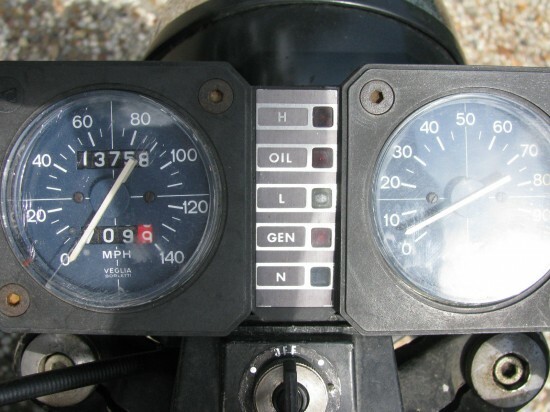 I’m a huge fan of the Benelli Sei, warts and all: there just had to be a more elegant way to communicate vital information than that instrument panel… [see: below] And, while I’d prefer the bigger 900cc version, they’re rare enough you have to pounce when you find a good deal. This might be just such an opportunity. And the Sei excelled at that role, although it never sold well enough to threaten the Japanese, it was relatively well-received. Testers at the time praised the smooth motor and exotic exhaust note, but were critical of the limited ground clearance, limited fuel capacity, and expensive price. 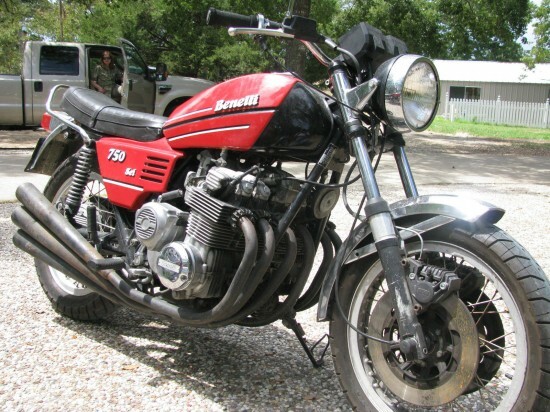 The 750cc version being sold here made 71hp and had a 5 speed transmission. 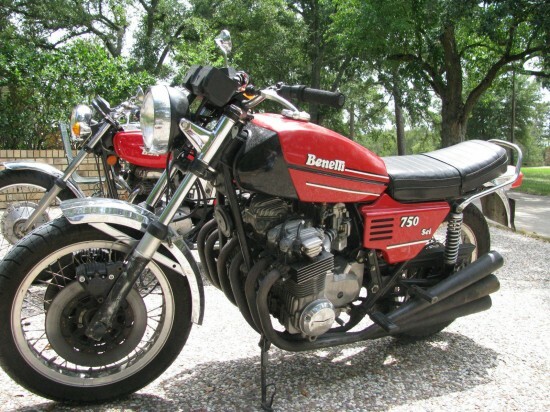 With a dry weight of 485 lbs, the bike was capable of 126mph. 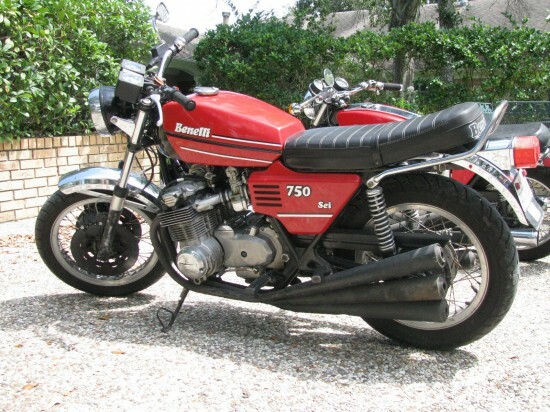 Legendary 6 cyclindar Benelli SEI. 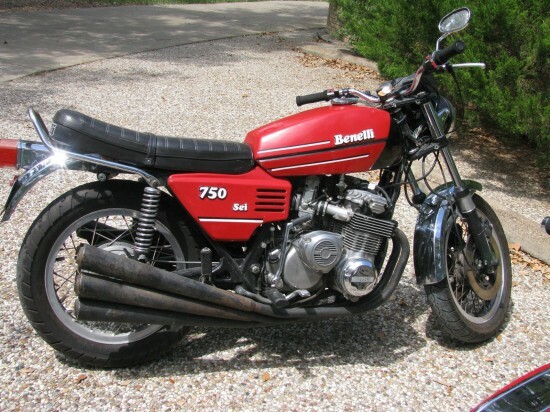 One of the most sought after collector bikes in the world. Very Good condition, runs great. Ready to ride anywhere. All original, no junk replacement parts on this bike. Not museum quality, but easily made that way. I’d possibly challenge the statement that this is “one of the most sought after collector bikes”, but I do love that there are plenty of pictures posted and the bike looks very solid: for some reason, Benellis I find for sale seem to be photographed in a shed, at dusk, through a dirty window. With cracks in it.